in the Department of Chemistry at Nagoya University. ・Fvie undergraduate (senior) students, Shinnosuke Inaba, Naoyuki Kanda, Kenta Hayashi, Kaisei Matsumoto and Yuya Murai , have just joined in the Shinohara Research Lab on April 2nd, 2018. ・Congratulations! 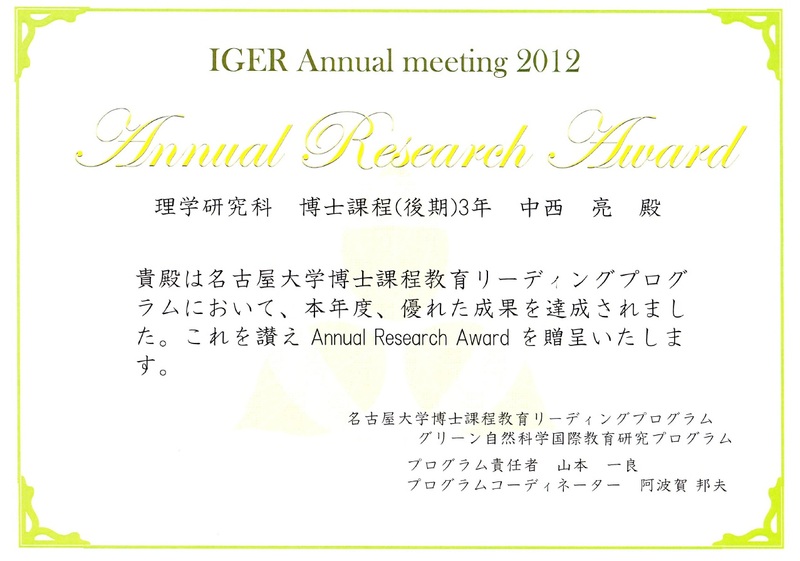 Takato Hotta (a Ph.D student) has won “Poster Award" in IGER Annual Meeting 2015 (Nagoya university) for his research accomplishment. (January 26th, 2018). ・Six undergraduate (senior) students, Satoshi Iida, Tsukasa Inoue, Akihiro Ueda, Kazuki Ueno, Shun Shimada and Masataka Nagata, have just joined in the Shinohara Research Lab on April 3rd, 2017. 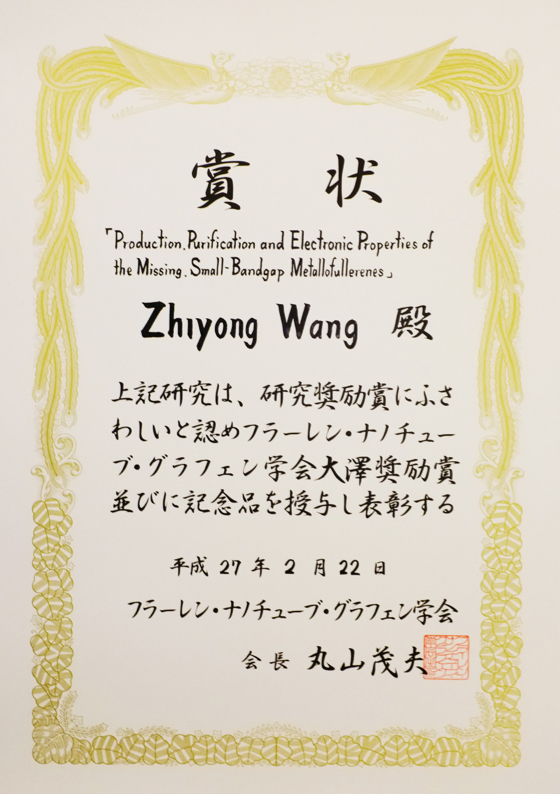 ・Takato HOTTA , a master student, has won the Young Researcher’s Award of Tokai-branch of The Chemical Society of Japan for his master thesis on “Growth and Characterization of NbSe2 Atomic layers Fabricated by Molecular Beam Epitaxy”. 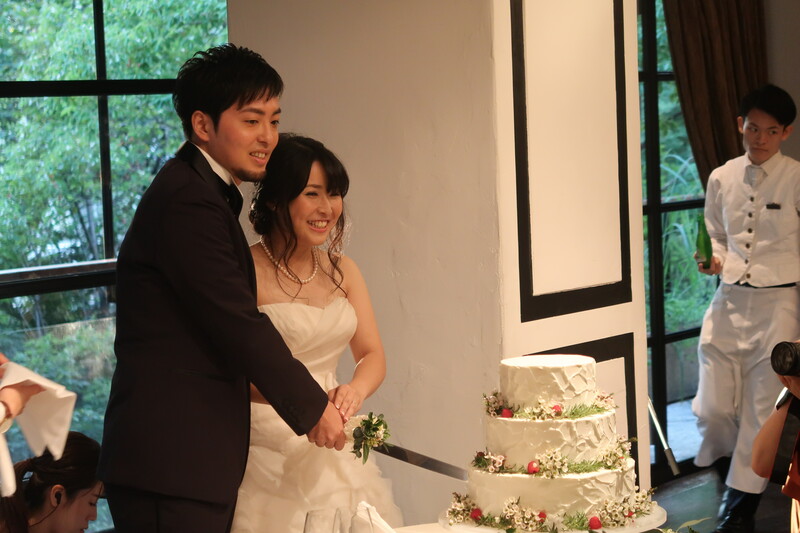 Congratulations ! (March 30th, 2017). "Isolation and structure analysis of La@C60(CF3)5"
"Template Synthesis of π-Conjugated Nanomaterials using Inner Space of Carbon Nanotube"
・Boanerges THENDIE, a Ph.D candidate, has won “Nakamura-Usui Prize 2017” in the Graduate School of Science. This prize is devoted to international graduate students who showed great academic performance in their Graduate School studies / research. Only one Prize-winner has been selected per year. Congratulations ! (March 9th, 2017). 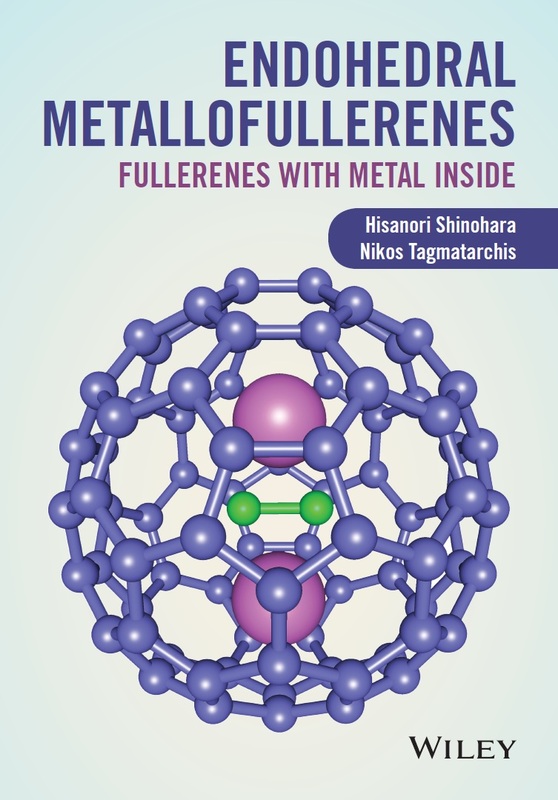 ・The Royal Society of Chemistry elected Professor Shinohara a Fellow of The Royal Society of Chemistry (FRSC)2016. The Royal Society of Chemistry, founded in 1841, is the UK’s professional body for chemical scientists and the largest organization in Europe. (October 26th, 2016). ・A recent Appl.Phys.Lett. paper (109, 133101 (2016)) has been selected as an APL Editor’s Pick ! ・Six undergraduate (senior) students, Motoki Aizaki, Toshinari Ishizuki, Yosuke Uchiyama, Yuka Oka, Koki Terashima and Makiko Nishino, have just joined in the Shinohara Research Lab on April 1st, 2016. ・Congratulations ! 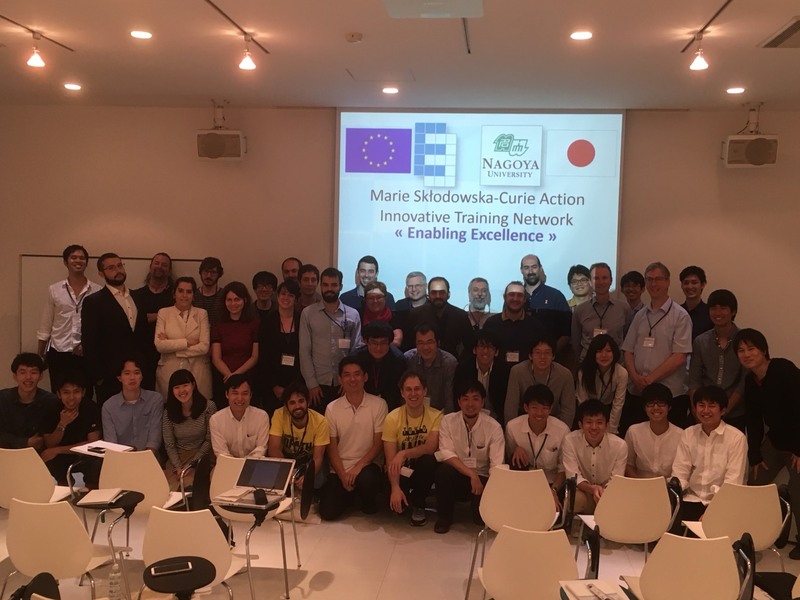 Yusuke Nakanishi (a Ph.D student) has won “Annual Research Award” and Yuki Sasaki (a Ph.D student) has won "Poster Award" in IGER Annual Meeting 2015 (Nagoya university) for their research accomplishment. (January 8th, 2016). ・The very recent ACS Nano paper by Hong En Lim et al. has been highlighted by NanotechWeb of IOP (Institute of Physics) on April 27th (April 29th, 2015). 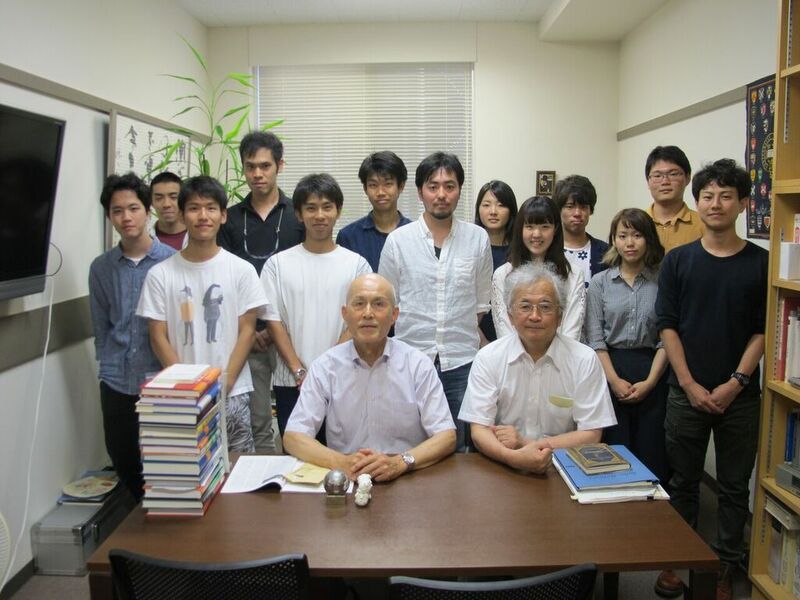 ・Six undergraduate (senior) students, Yuri Atomi, Tomoya Kanda, Ayano Nakagawa, Shohei Higuchi, Yoshimasa Michiya and Miho Yamagishi, have just joined in the Shinohara Research Lab on April 1st, 2015. ・Congratulations ! 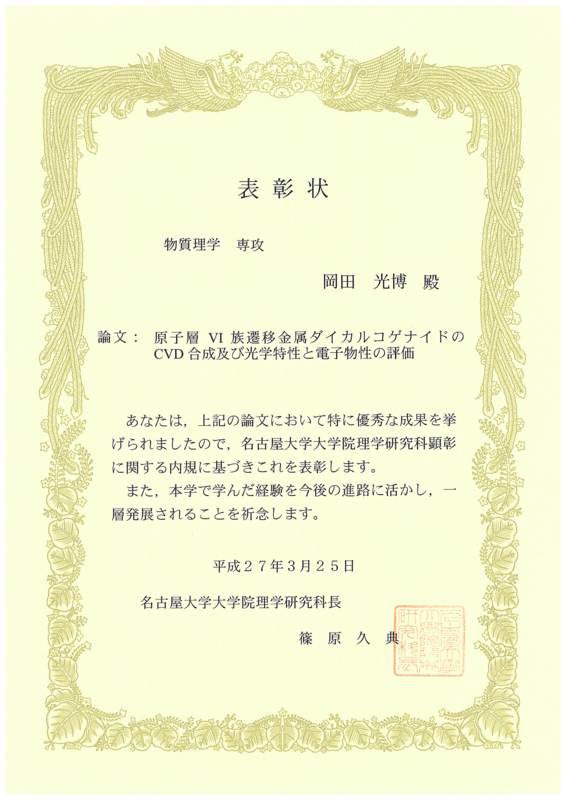 Mitsuhiro Okada (a Master student) has won "Award for Best Master's Thesis" of Department of Chemstry and "Graduate School of Science Award" of Graduate School of Scienece, Nagoya University on his study entitled "Chemical Vapor Deposition Synthesis of Group-VI Transition Metal Dichalcogenide Atomic Layers and Characterization of its Optical and Electrical Properties". (March 25th, 2015). "Fabrication and in-situ TEM characterization of freestanding graphene nanoribbons devices"
"Thermal Annealing of Halogenated-Diamondoids inside Carbon Nanotubes: Towards One-dimensional Diamond Crystal Formation"
・Two master student and six undergraduate (senior) students, Yasuyo Ishio(master student), Masachika Kato(master student), Daiki Kato, Yasuhiro Kinno, Yusuke Kureishi, Tomohiko Komuro, Takuto Tokuda and Takato Hotta, have just joined in the Shinohara Research Lab on April 1st, 2014. ・One master student and six undergraduate (senior) students, Taku Isomura(master student), Katsuma Ishino, Yusuke Sako, Takumi Sawazaki, Yuya Takabayashi, Mika Tsuboi and Azusa Noda, have just joined in the Shinohara Research Lab on March 28th, 2013. "Fabrication and Characterization on BN-Nanotubes inside Carbon Nanotubes"
"The CVD Synthesis of Graphene-h-BN Composite Sheet"
"The Synthesis and Characterization of Polythiophene-Encapsulated Carbon Nanotubes"
・Congratulations ! 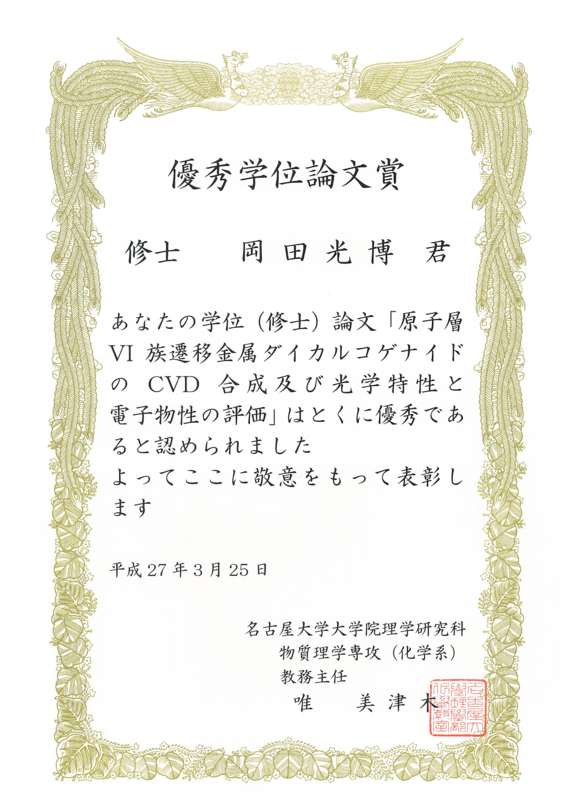 Dr. Ryo Nakanishi (JSPS posdoc) won The Annual Research Award of IGER Annual Meeting 2012 in Nagoya for his research accomplishment on metal-nanowire encapsulated carbon nanotubes (March 7th, 2013). Chem. Phys. 378, 11 (2010). Phys. Stat. Soli.B. 247, 3030 (2010). Handbook on the Physics and Chemistry of Rare Earths Vol.41, Chap.249. K.A.Gschneidner, Jr., J.-C.G.Bunzli and V.K.Pecharsky Eds. (Elsevier) pp.95-156 (2010). J. Phys. Chem. Lett. 1, 3243 (2010). Tetrahedron Letters 114, 14704 (2010). J. Phys. Chem. C 51, 5896 (2010). Adv. Mater. 22, 3156 (2010). Appl. Phys. Lett.96, 263105 (2010). J. Nanosci. Nanotechnol.10, 6 (2010). J. Mater. Chem. 20, 2959 (2010). J.Nanomater. vol. 2010, Article ID 906204 (2010).